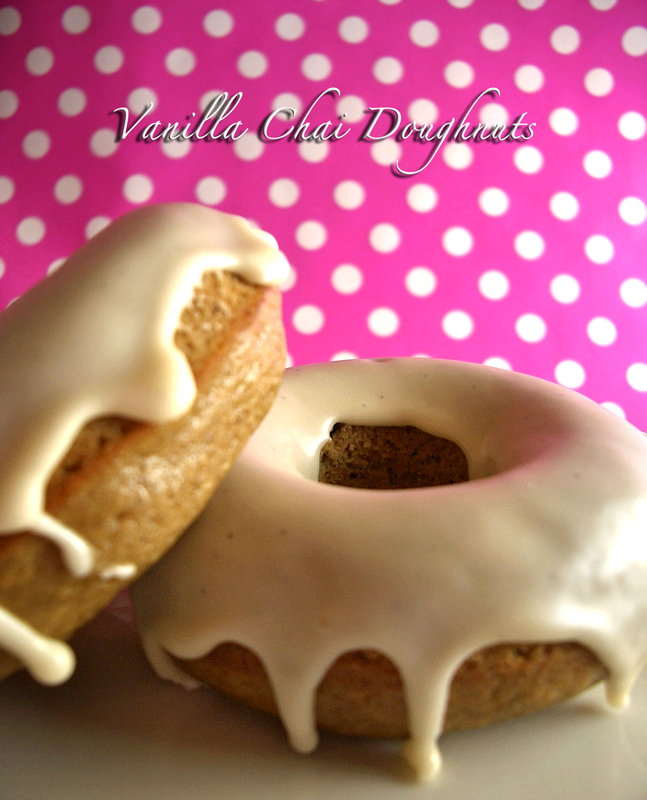 These Vanilla Chai Doughnuts are my beginning to the fall baking season. 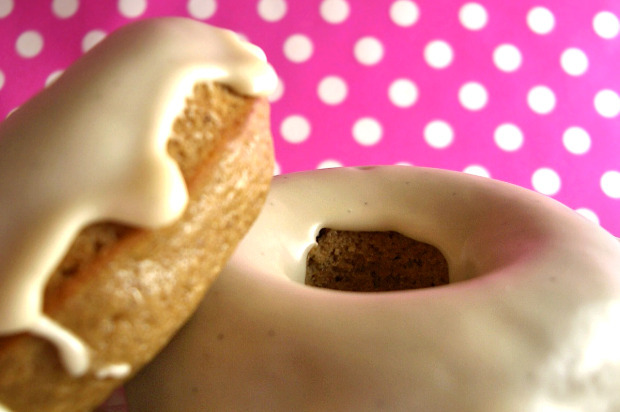 The sweet spicy flavored baked doughnut topped with the creamy glaze is a perfect afternoon addition to cup of chai tea or latte. 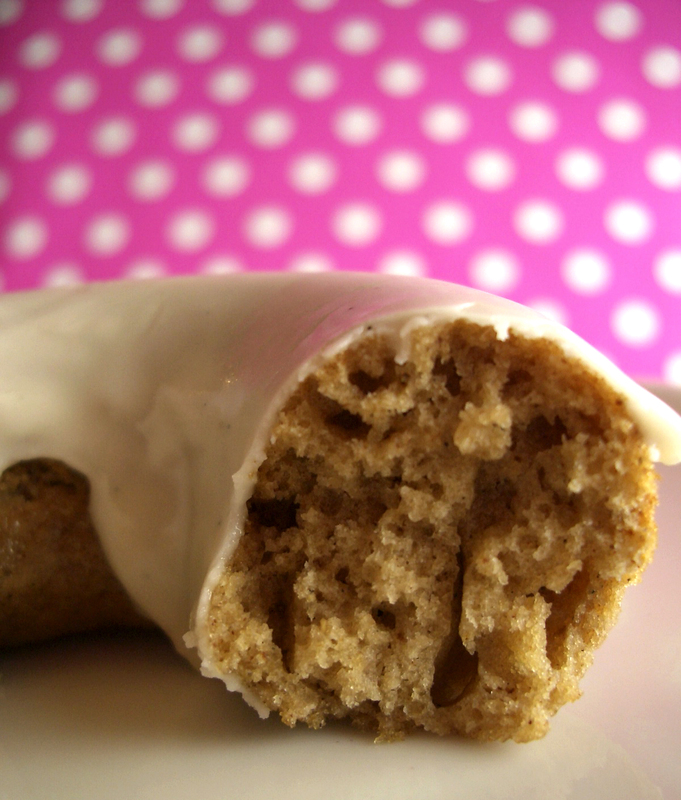 Since these doughnuts are baked instead of fried they have a light crumb and moist interior. 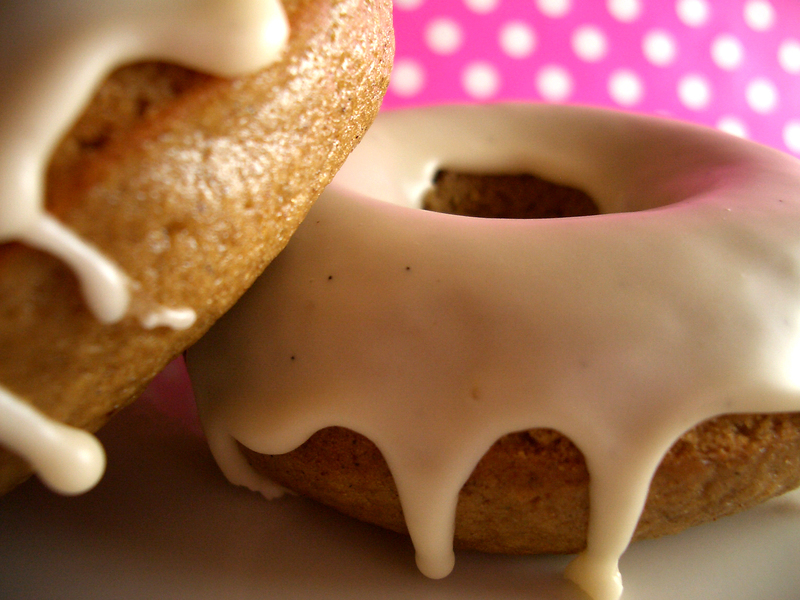 Don’t over mix or over bake these doughnuts or they will be dry and tough. I mixed the batter by hand and baked mine for nine minutes total. You can tell they are done if the doughnut springs back when touched lightly. Let the doughnuts cool for around five minutes in the pan then turn them out onto a wire rack to cool completely before glazing. The glaze is a simple powdered sugar mixture combined with more chai tea. I added a little vanilla bean paste for the little specks of vanilla bean and sweet vanilla flavor. Start by spraying a large doughnut pan with Pam and set aside. 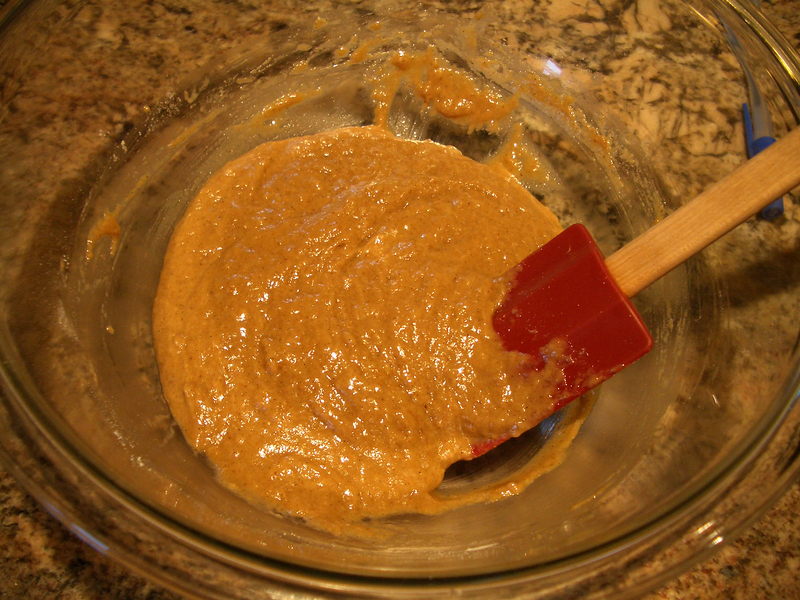 Preheat oven to 375 degrees.In a large bowl whisk together the flour, brown sugar, baking powder, spices and salt. Set aside. 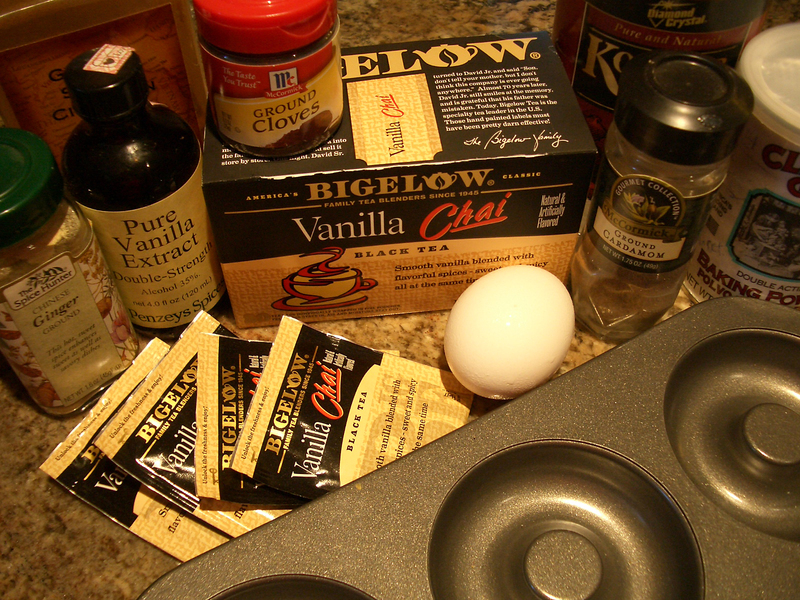 In a medium bowl whisk together the tea, oil, vanilla and egg. Mix the wet ingredients into the dry ingredients until just combined. Pour or pipe the batter evenly into the doughnut pan and bake for 9-12 minutes (because my pan is dark I started at 9 minutes and that was a perfect amount of time). Do not over bake. 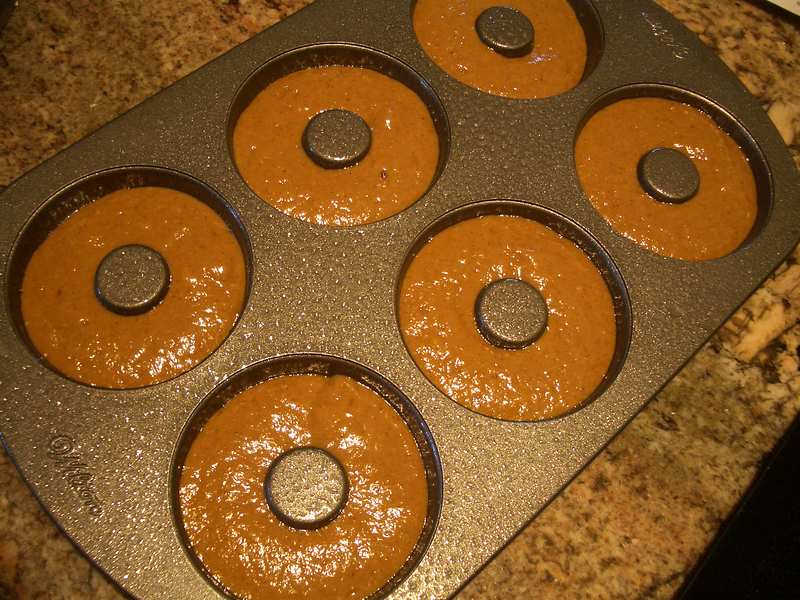 Let doughnuts cool in pan for 5 minutes before turning out onto wire rack to cool completely. 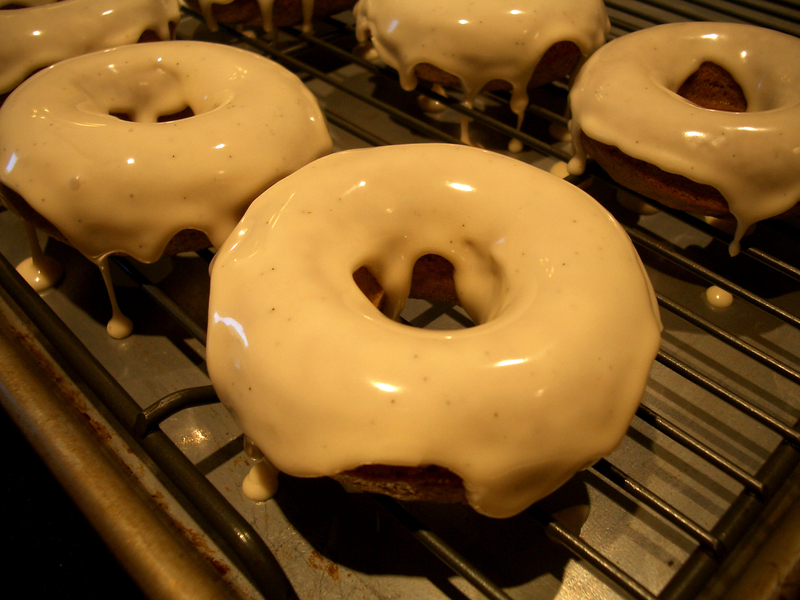 While doughnuts are cooling, whisk together powdered sugar and chai tea and vanilla bean paste if using, until a thick glaze comes together. Dip the tops of the cooled doughnuts into glaze then return to wire rack to dry. 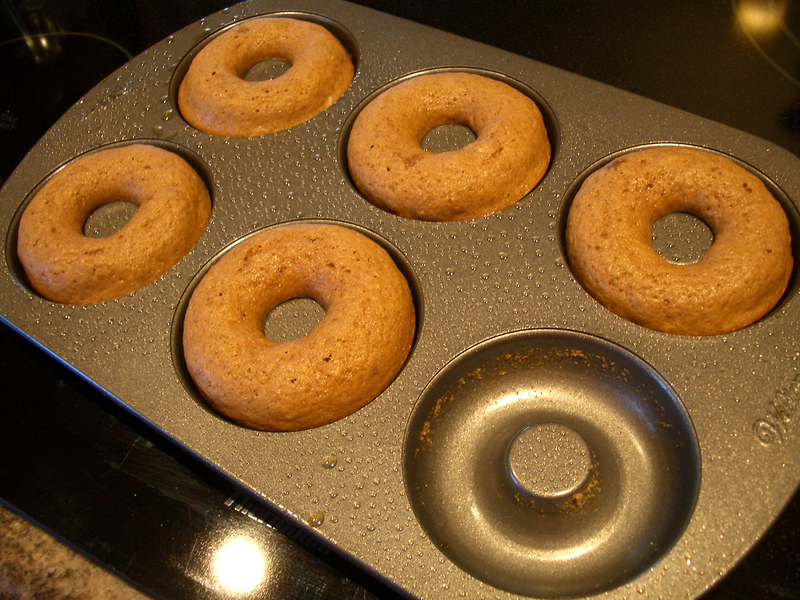 Keep doughnuts in an airtight container at room temperature.